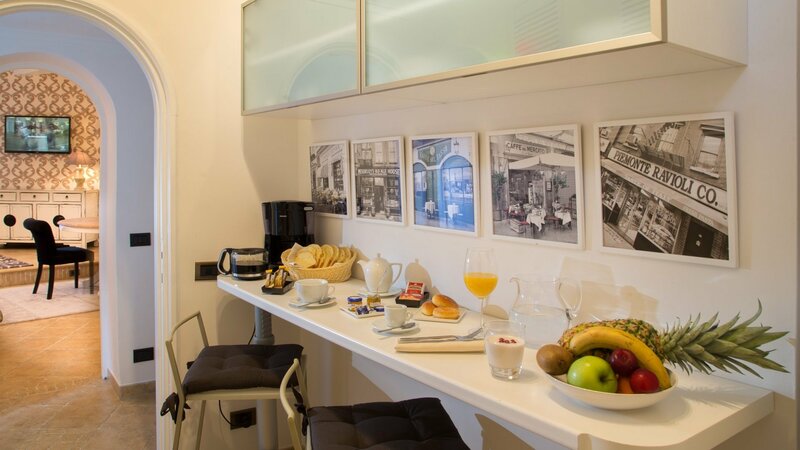 This lovely studio apartment is located just few minutes away from the Colosseum and is set in a classic Roman building; it has been completely renovated to combine the contemporary style with the old-world charm. 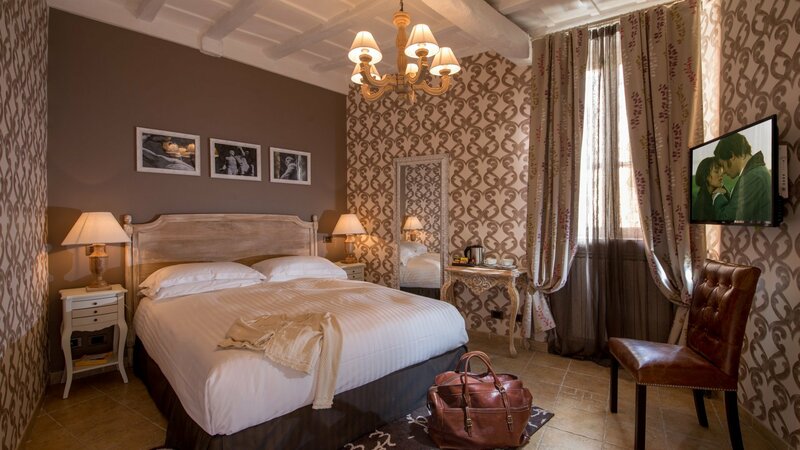 Foro Uno is composed of 1 double bedroom and 2 single sofa beds, accommodating up to 4 guests comfortably. 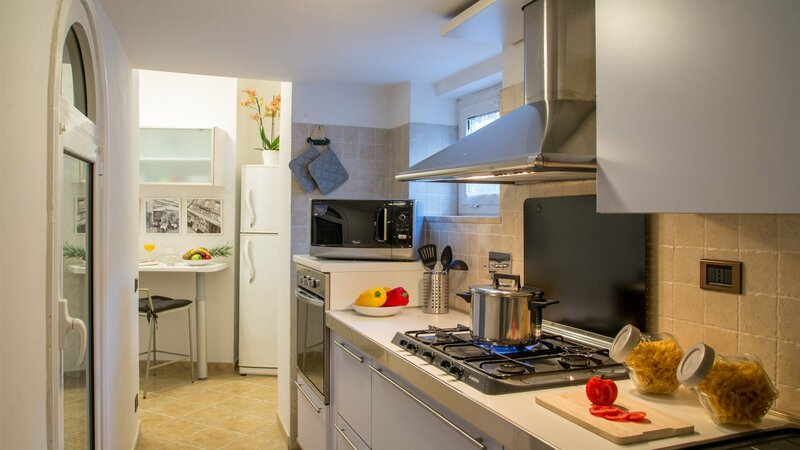 In addition, it can be connected to another studio to have a 2 bedroom apartment, Monti Due. 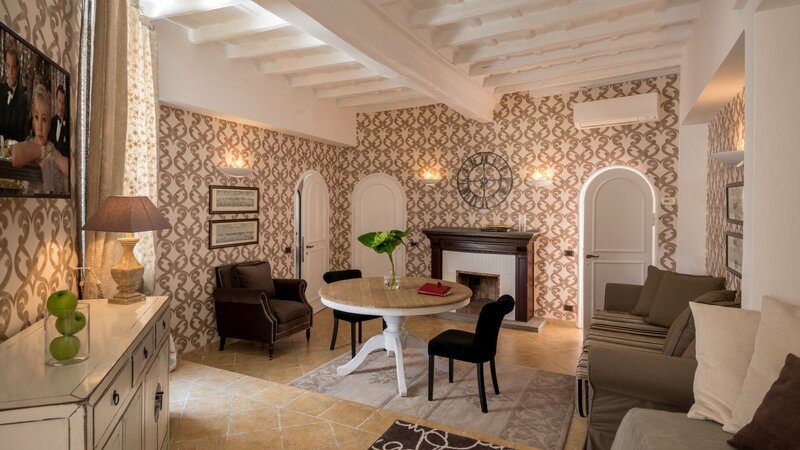 A fully equipped kitchen and a lovely private multi level terrace that looks onto the magnificent antique Roman walls complete this luxury retreat. 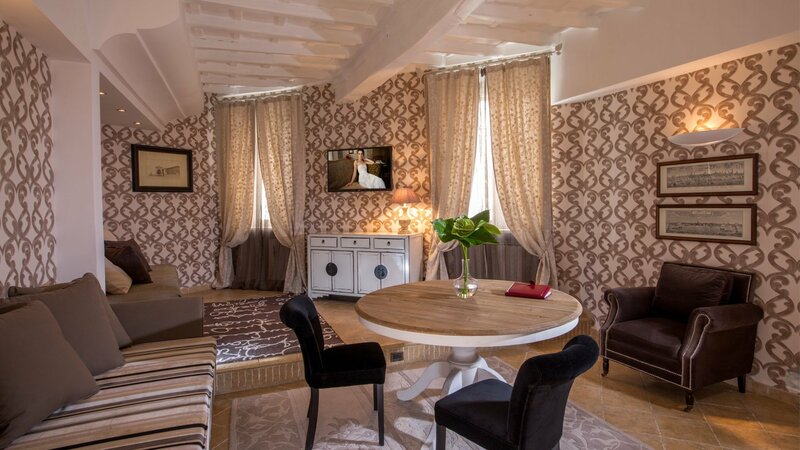 Foro Uno offers to its guests the privilege of enjoying an exclusive and private retreat in the very heart of the Eternal city. 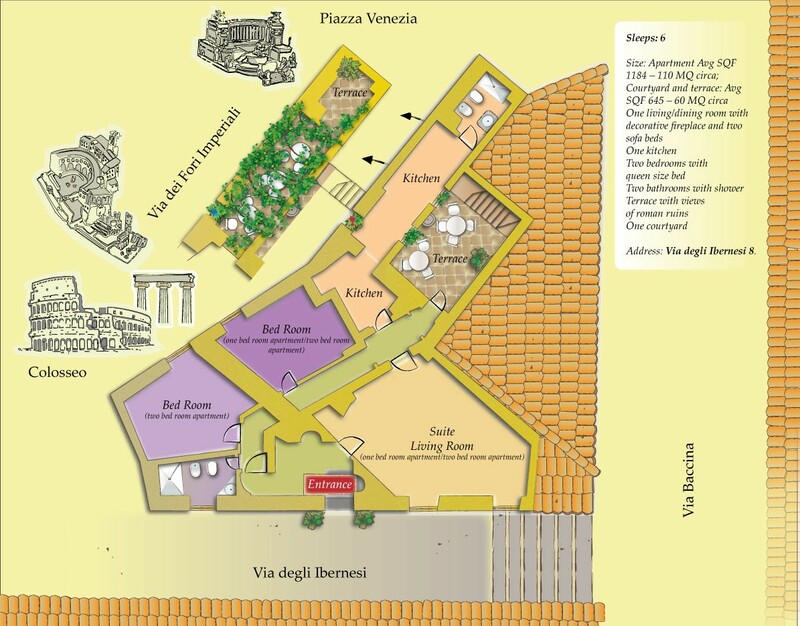 The apartment is located to the archeological area and open-air museum, the Roman Forum, and Piazza Venezia, the square presided by the spectacular white marble Altar, a symbol of the Italian national unity. The apartment is equipped with all the modern comforts such as air conditioning, Wi-Fi and flat screen satellite TV and boasts a lovely balcony overlooking the Roman ruins. apartment 85 sqm, sleeps 2/4. Possibility of having a connecting room to accommodate up to 4/6 guests. entrance, sitting area including a flat screen TV with SKY, living and dining area. During the evening, the sitting area converts into a comfortable two person sofa bed. Fully equipped kitchen. 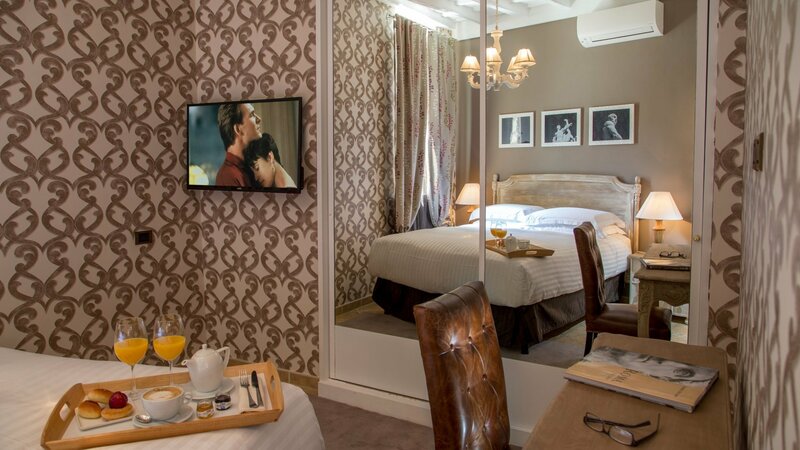 bedroom 1: double bedroom with queen size bed, en suite bathroom with shower. 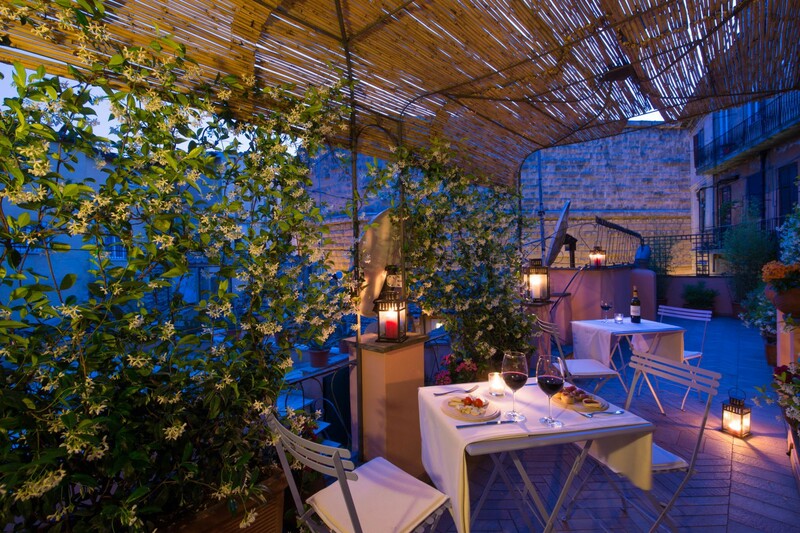 60 sqm of private terrace with views of Roma ruins and equipped with table and chairs for al fresco dining. 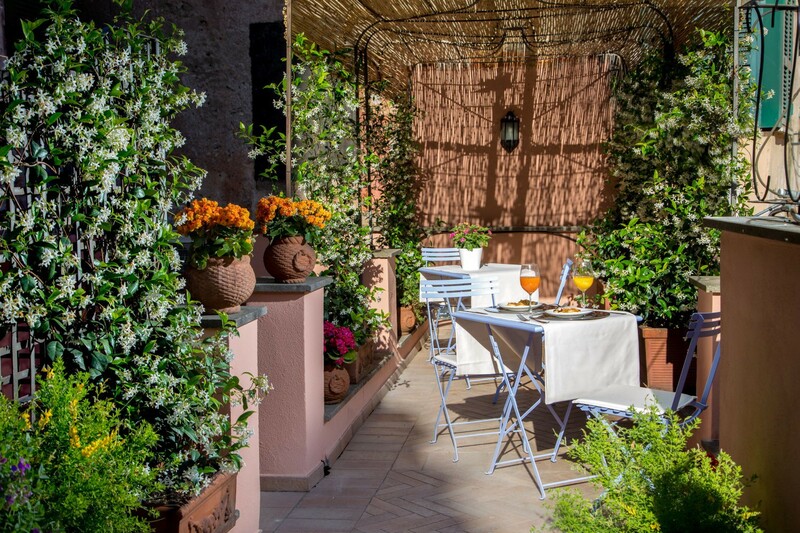 This terrace is perfect for enjoying an early morning coffee, evening drink or simply to immerse yourself in the residential and yet historic area of Monti. 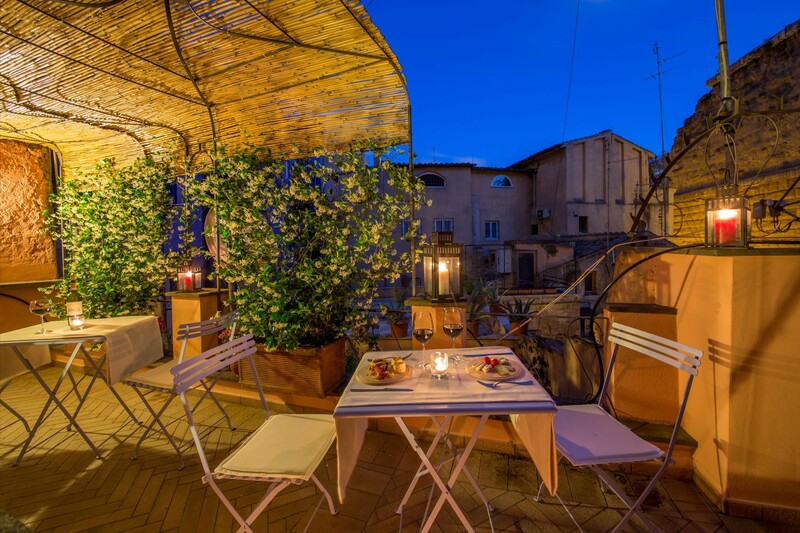 few steps away from Via dei Fori Imperiali and Piazza Venezia, public transportation by metro or bus is just seconds away, grocery shops, supermarket, coffee shops, banks, nice trattorias and restaurants in the area. Concierge service, daily maid service including change of linen and towels, Wi-Fi internet connection, air conditioning, heating, final cleaning, buffet breakfast served in the Main Building. 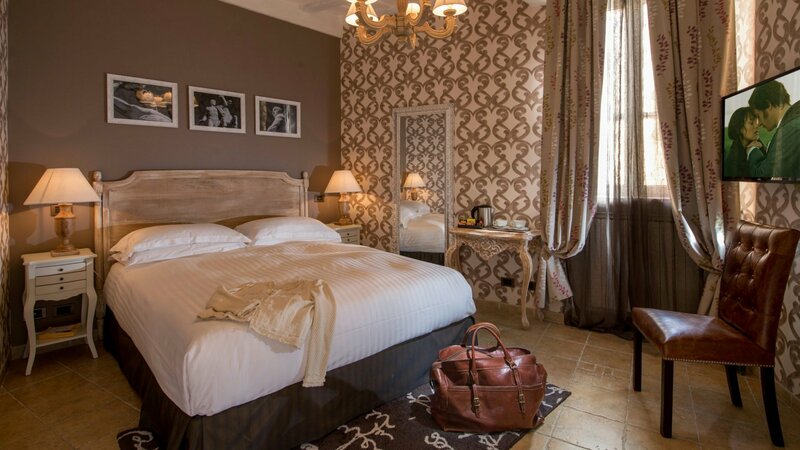 city tax 3,50 Euros per person per night. close by are some of the most famous monuments, squares and streets of Rome such as Piazza Venezia, Via del Corso, Piazza di Spagna, the Roman Forum, the Colosseum, Piazza Navona, the Pantheon.